Beware! TraderPlatinum is an offshore broker! Your investment may be at risk. TraderPlatinum is a unregulated forex and CFD broker offering several account types with maximum leverage between 100:1 and 400:1 depending on the account type and the MetaTrader4 platform. However, as their website turned out to be virtually anonymous, if you are thinking about trading with them be sure to read this review first. TraderPlatinum says to be offering a selection of base and exotic currencies, as well as CFDs on various asset classes like indices, commodities, stocks and even crypto coins. The benchmark EURUSD spread as tested with a demo account was fixed at 3 pips, which is about two time higher than the levels traders would usually consider attractive with a standard account. On top of that the MetaTrader4 is provided by a third party company – Maxwell Global Trading Company Ltd. and that is also a bit unusual. 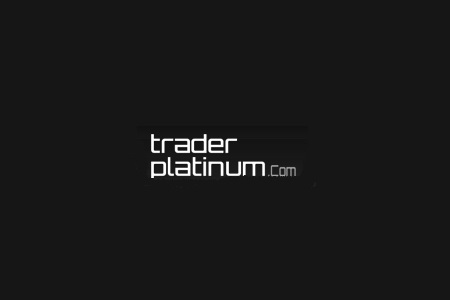 There is no information on the TraderPlatinum website about the company, behind it. The only thing we know is the name of a company based in Baku, Azerbaijan – MasterPay LTD, which is said to be processing all payments towards the website. There is also a UK contact number and that is all. And it was not a surprise that the website also turned out not to be regulated and authorized to offer financial services, at least not in the UK or anywhere else in Europe, the US, Australia, Canada or Japan. Bear in mind that trading with unregulated brokers is almost a sure recipe to get scammed. That is because unregulated brokers are virtually unaccountable for the way they handle your money. And besides, if you chose to trade with a licensed broker, regulated by a legit financial authority such as the Financial Conduct Authority (FCA) in the UK, the Cyprus Securities and Exchange Commission (CySEC) or the Australian Securities and Investments Commission (ASIC), among other benefits you will even receive the protection of a client compensation fund. For example, with a FCA broker your account will be insured for up to 85 000 GBP, which will be payed to you even in the unlikely event your broker files for bankruptcy. TraderPlatinum accepts payments with credit cards like VISA and MasterCard and bank wire. No e-wallets like Skrill are accepted however, and that is worth noting, because of the new anti-scam policy recently adopted by Skrill, according which if a broker wants to use Skrill in the EU, it should be holding a legit license. As we already established TraderPlatinum does not have a license at all. Also, take a note that TraderPlatinum has a series of highly unusual withdraw conditions and fees, as for example you will have to trade at least 1 lot or 100 000 USD for every 2 USD you have either deposited or received as a bonus. On top of that TraderPlatinum says they are not committed to any time frame regarding the withdraw processing time. Otherwise the minimum deposit requirement is 250 USD. Although there are various ways in which scammers may trick you to give them your money, quite often this happens through the so called robo scam websites like Crypto Revolt and Bitcoin Evolution, where you may be tempted with an offer for fast and easy cash with “a minimal risk”. And all you will be asked for in the beginning will be your e-mail and phone. And note that, if you fill the registration form, actually you will be automatically transferred to the web site of a unregulated, offshore broker where finally you will have to make you initial investment of about 250 USD. Besides, at first you might even enjoy “trading” with the scammers, as almost all of your trades will be spectacularly successful. That, however will be just a prat of the scam, as scammers will surely want you to invest a larger sum. And about the same time you will definitely start getting phone calls as well. It will be your senior account manager, with the latest trading signals, who will actually try to convince you, that if you want to make a real hit, you will have to invest at least 10 000 USD or so. And probably you will invest that kind of money and will not realize you have been scammed until the very moment you decide to withdraw some of your funds. Than all of a sudden you will be told you can not withdraw, because of some minimum trade volume requirement, possibly linked to the welcoming bonus you have so gladly accepted, or because of some other clause in your Terms and Conditions you have missed to notice, when you have signed your trading account. In any case the end result will be always the same. You will not receive back a single penny. Although there is not much you can do, if you have fallen victim to scammers, your best option is to file for a charge back with your credit card company. The good news here is that in the end of last year both VISA and MasterCard extended the maximum period in which you will be allowed to do that to 540 days. And in the event that scammers have tricked you to tell them your credit card number or online banking password, immediately change the password and block your credit card. And one final piece of advise. Do not accept any offers by the so called recovery agencies. They will simply charge you some money in advance, without helping you in any way, so basically you will end up scammed a second time.